I have been in love with this shot for a while. 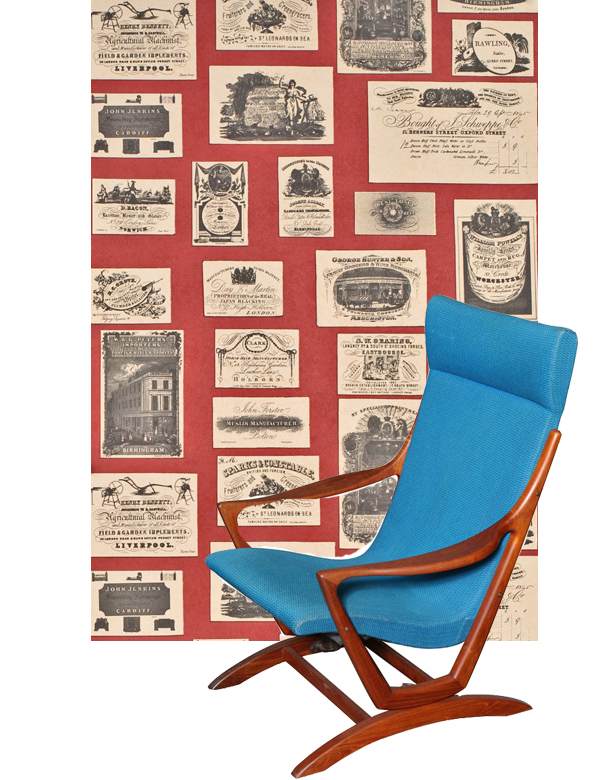 I love the Zoffany wallpaper so bold and busy with that pop of red from the Panton Chair. 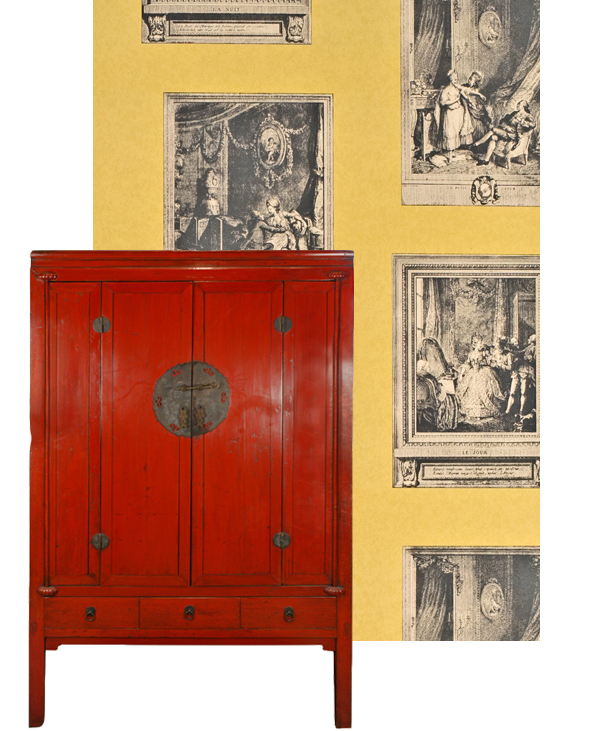 This look would look fantastic in any little color in your home. Here are a few ideas to get you started. All wallpapers in this post are from Lewis and Wood. They are classical yet very different and definitely make a statement. These were my favorites. 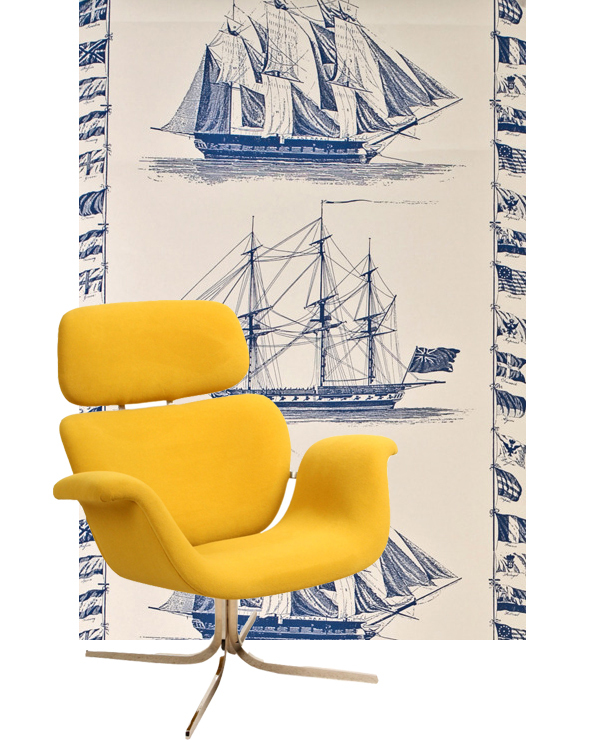 Do you like the bold wallpaper with a burst of color? 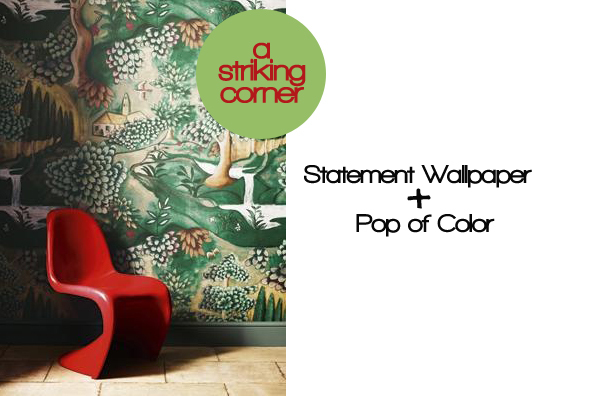 I love the statement wallpaper and pop of color! The first wallpaper is just gorgeous!